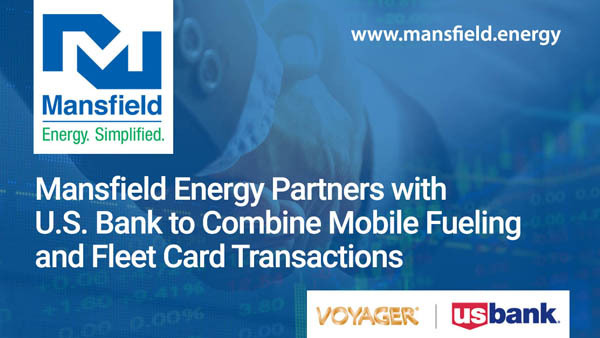 Gainesville, GA, November 12, 2018 – Mansfield Energy, a leading North American energy supply and logistics provider, announced today it has partnered with U.S. Bank, a leading fleet card provider, to offer fleet managers a comprehensive view of fuel data across their fleets by consolidating retail, mobile and non-fuel purchases into a single system. For most fleets, driver labor is the number one operating cost. Yet many companies still pay drivers to travel off route and wait at retail refueling locations to fill their vehicles. Mobile refueling can make a significant impact by ensuring vehicles and equipment are fueled while drivers are off the clock and are ready when the drivers arrive to work. Mansfield Energy provides innovative solutions to the most demanding energy procurement, supply and logistics challenges for organizations across North America. 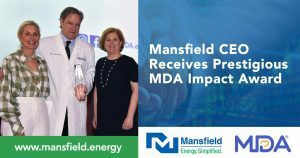 Offering a broad range of solutions including fuels, natural gas and energy price and data management services, Mansfield Energy delivers over 3 billion gallons of fuel and complementary products annually to 5,000 customers across the U.S. and Canada. For information, call 800-695-6626 or visit www.mansfield.energy. 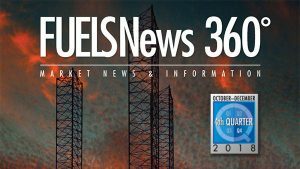 Read the latest fuel industry market news, insights and pricing information.